As legions already know, the 2017 Wonder Woman film is a worldwide phenomenon, having broken a number of records and becoming the top grossing live action film globally to be directed by a woman—in this case Patty Jenkins, known for the acclaimed indie work Monster. WW is also about to be the top grossing installment domestically in the DC Extended Universe thus far, outperforming the likes of Batman v. Superman: Dawn of Justice and Suicide Squad, and will be the third top grossing DC Comics film adaptation of all time in North America, not adjusting for ticket price inflation. Pérez, a Puerto Rican illustrator and writer at the height of his career took on a project focusing on a sisterhood of actualized, transcendent women from Greek mythology. Amid layered circumstances, I see the work as an exercise in empathy, serving as a call for men to step beyond how we’ve been taught to behave and sit in the experiences of another gender. Pérez didn’t only present standard superhero fare but also devoted entire issues to characters adjusting to the changing circumstances of life, a heartening decision considering the title’s positioning towards young people. One issue showcased written entries from four different characters—three career-oriented women and one teenage girl—revolving around Diana becoming known to the larger world, with a later story detailing her visit to modern Greece and the original land of her ancestors. Another narrative presented in an annual showcased the life of Diana’s publicist, who was revealed to be devoted to her conservative family yet shunned along with her gay brother for living out of the box. And another plot thread dealt with the main youngster of the series, Vanessa Kapatelis, coping with a friend’s suicide. 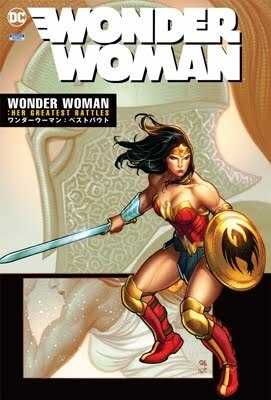 Contemporary takes on Wonder Woman have been built upon progressive themes, yet Pérez’s relaunch stands out for treating the series like serious literature with a humanistic vision. He has later said women were surprised to find out a man had written this particular WW run. The legacy of his work asserts that male creators can immerse themselves in women’s lives, create layered narratives where women are center and then get out of the way.